I took the BAIT and you should too! Just recently I made the expensive though right decision to upgrade my tv and blu-ray player to those that play 3-D. Because of this I am on the constant lookout for anything being released in 3-D and just recently a new film was released on blu-ray that looked promising, especially since it was receiving decent reviews on both Netflix and Amazon. 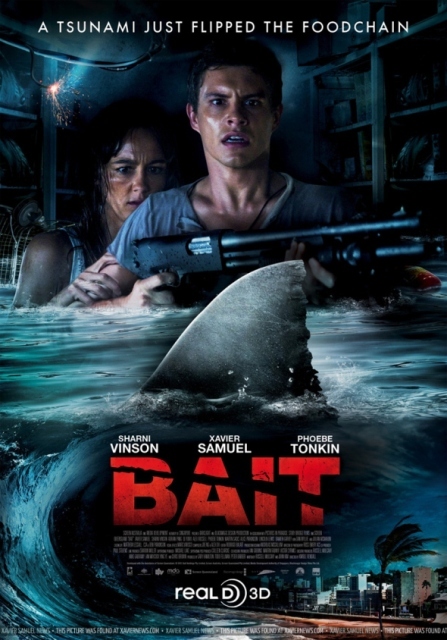 This movie is the Australian shark movie BAIT! The movie starts out on a beach in Australia where Josh and his fiance Tina are spending the day with her brother, and Josh’s best friend, Rory. 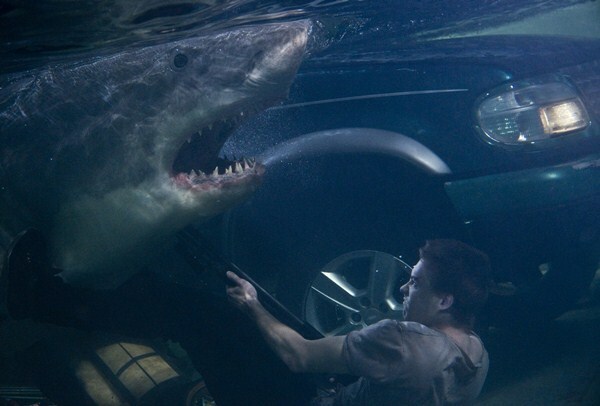 Rory is killed by a great white shark while Josh tries to save him. As a result of his failure Josh and Tina split up and then we cut to the present time. Josh is now working in a supermarket, where we are all introduced to the principal players in this film. A freak tsunami occurs flooding the supermarket, not only trapping said players but also a very hungry great white shark. Initially I thought this to be a silly premise but I must say that it actually works, resulting in a very entertaining and even somewhat scary movie. 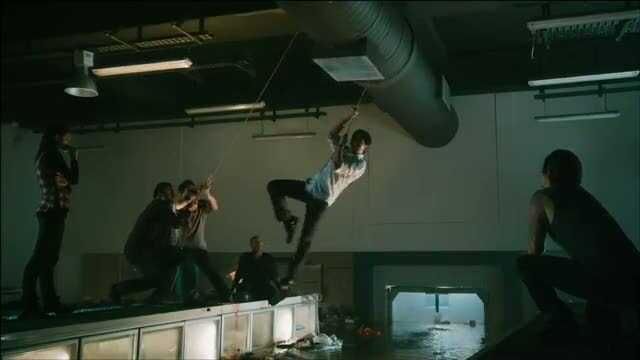 The survivors must stay on top of freezer units to avoid the hungry predator while at the same time trying to figure out a way to get out of the store to safety, without getting eaten. Though this movie will never compare to films like JAWS or REEF, it is still a great entry in the monster shark genre. The sharks (yes, there are actually two) are done through a combination of CGI and full-size mockups. In most cases the CGI fails miserably but when they do use the full-size mockups, it is quick convincing and there are some great scenes of people getting devoured violently. 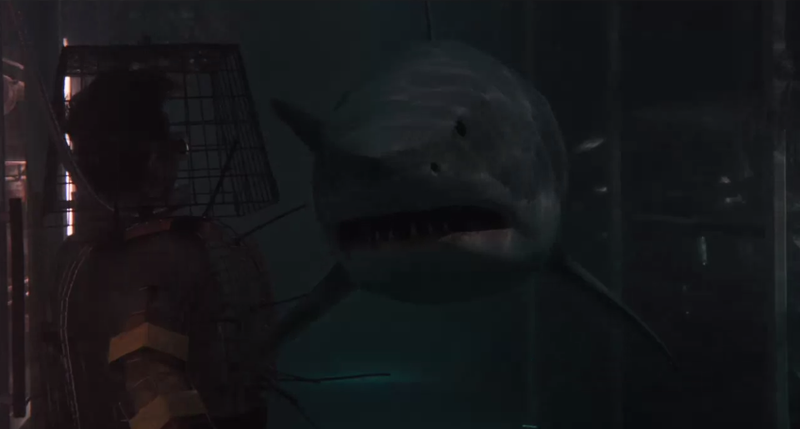 What bothered me most about the CGI sharks were the lack of detail. Sharks are always covered in scars and these sharks had skin that had no texture whatsoever. Thankfully, the full-size mockups do have nice detail. The acting is decent and most of the characters are very likeable which helps you care for them and actually feel something when they do get eaten. The sets are also quite nice and add a nice degree of realism, helping to make you feel the isolation the characters are experiencing themselves. Though this is a 3-D movie, it really added very little to the actual enjoyment of the film. The creators certainly tried to capitalize on the 3-D by having things jump out at you, but for the most part it just didn’t work because most of these scenes were done with the unconvincing CGI. If you are looking for a fun movie with some good scares, then I highly recommend this film. It will never achieve the classic status of JAWS but it is certainly better than DEEP BLUE SEA and any of the SyFy original monster shark movies ever released! This entry was posted in DVD/Blu-Ray Review, Man vs Nature! and tagged Bait, Great White Shark, JAWS, THE REEF. Bookmark the permalink. ← Dr. Destruction Haunts the Jerry Smith Pumpkin Farm!